This Monday, the 17th of March is when we Celebrate St. Patricks Day. St. Patricks Day is a is a national Holiday in Ireland to commemorate the patron saint St Patrick. Throughout the UK there are celebrations in Irish pubs and restaurants, and many bars have themed St Patricks day events running that day. Whether you have Irish Heritage or know someone who will be celebrating St Patricks Day, here at Clare Florist we have a great selection of St. Patrick's Day inspired flowers and gifts for brightening up your party and home. Green flowers are often used to bring good luck and a feeling of tranquility to the home, and what would St Paddys day be without green decorations? Whilst you may not be able to find a four leaf cover, our selection of Green Flowers will be a stunning finishing touch to your home. 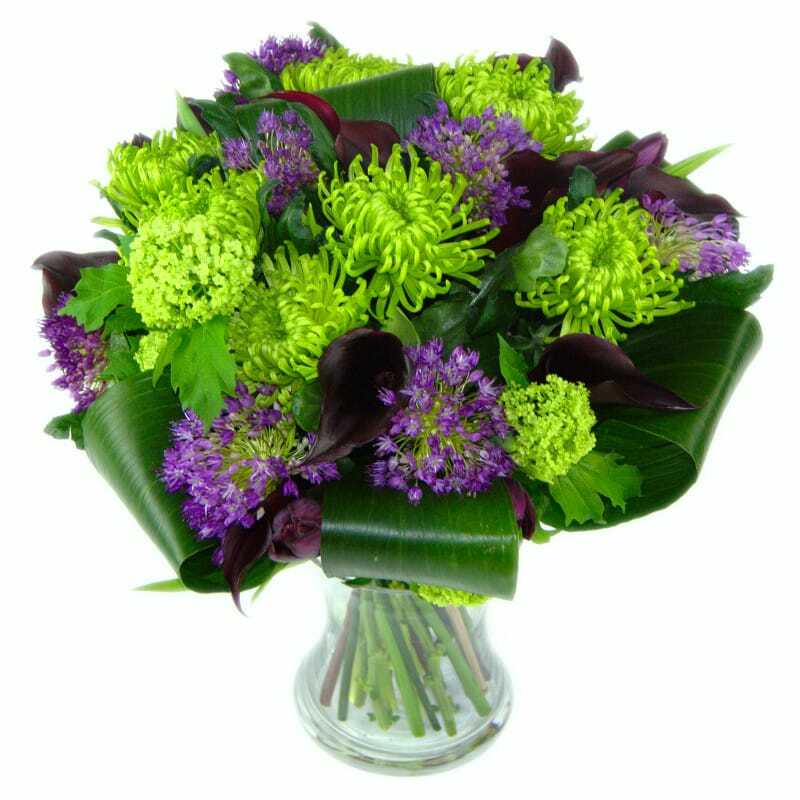 One of our most popular Green Flowers is our Cool Shades Bouquet. A Soothing display of green anastasia, dark calla lilies amongst a background of green tropical leaves, this bouquet has a modern feel for all your guests to enjoy. Another green, St Patricks Day inspired flower arrangement is our Little Greenie Cube. 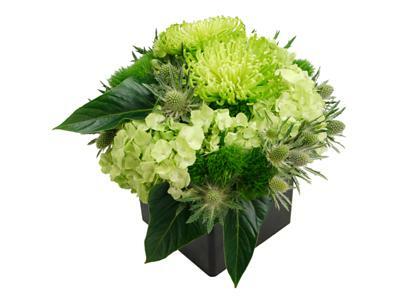 Featuring fresh green hydrangea blooms surrounded by thistle and shamrock, it is the perfect Irish flower display. Contained within a black Perspex cube, our Little Greenie is an ideal plant for placing on your table top. We have a wide selection of St Patricks Day Green Flowers for your home, please browse our site to find the flower that best suits your needs.